Over the last two and a half decades the forest landscape of the country has undergone massive change that were environmentally detrimental. 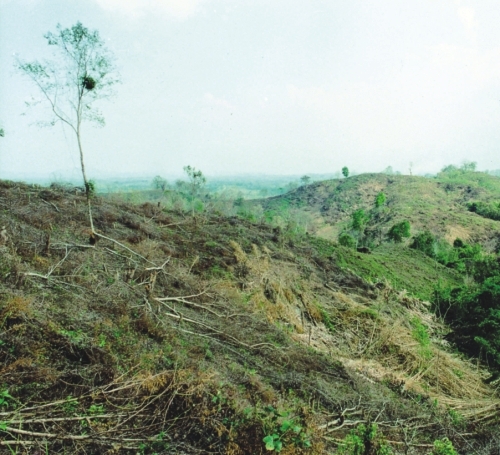 The total forest area has shrunk to such an appalling proportion during this period that experts fear that if the destruction of forests continues at the same pace, Bangladesh might very well turn into a barren land in the next 10 to 15 years. The hills in the CHT are bare today, while the traditional sal forest is a distant memory.